Initially, the costs for standard lights are attractive because they’re not paired with solar technology. But a closer look shows that you’re paying a lot more than just the lights–you have to pay for the trenching and energy bills as well. Over ten years, the prices add up. Solar beats out on the costs for street lighting by skipping out on trenching and, well, it’s fueled by the sun–so don’t worry about any energy bills. We’ve even saved a company several thousands of dollars up front on day one of installation. It’s a smart thing, that solar technology. And we’re proud to offer it without hefty bills for installation. Trenching alone can cost between 5 and 12 dollars per linear foot. Why not just skip the bill altogether? 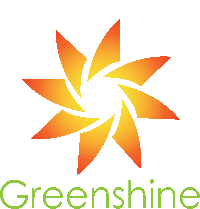 Here at Greenshine New Energy, we’re proud to offer commercial lighting solutions that light the way towards savings and a brighter future. Be a part of the solar revolution by investing in the energy resource of tomorrow: the sun. Contact us to learn more or take a look at how our technology works for a better understanding about the costs for solar street light installation. For the past week, our salespeople have been on the phone non-stop and it’s likely because a lot of our potential clients’ competitors have been able to divert funds into better business development. Our clients just didn’t realize how that was possible until they caught word their competition was able to save several thousands of dollars on lighting alone. We guess that’s what happens when the word gets out about what we do at Greenshine, but we’re definitely happy that we hit a trend. Sometimes it just takes a little bit of unbiased education for people to understand concepts that can reduce the bottom line. We’re happy to be a facilitator in that, but maybe it’s the case you’re on the fence about our projects and don’t yet know the advantages and disadvantages of solar energy when it comes to lighting, and–more importantly–how it can help you improve your business. Here’s an unbiased look at solar energy and what it means in terms of green–both for the wallet and your environment. We’ll give you the juicier details first. Solar energy for lighting purposes might seem expensive up front because of the extras: a solar panel, the battery, the controller, and many other small extras that don’t come with traditional lighting. So the up-front pricing may seem a little steep–we get it. But when you look at traditional lighting, there’s often pricing that wiggles its way onto bills that isn’t always scrutinized–the cost of trenching for wire. Couple that with costs for labor, and you’ll recognize that traditional is actually pricier. We’ve produced some solar lighting projects in the past that saved our client significant amounts of money on day one. We kind of boast some times about shortening receipts. It’s our specialty. A bonus of avoiding the trenching and wiring bills is that each solar light is independent from tethered power, so in the event of a catastrophic event that disconnects power underground the solar lights will remain on. We think of it as icing on the cake when it comes to the advantages of solar. Plus, if a repair needs to happen for tethered power, we shudder at the pricing for that particular project. We like to think of solar lights as independent beacons of security, remaining on when the rest of a city lies in darkness in the event of a power outage. Cut the cord; go solar and stay on. One of our solar lighting projects was a bit of a head-scratcher for a client. They needed lighting for a few reasons, a set of lights for their parking lots, and then another set for a construction site not too far away. Planning, trenching, and installing stationary lights wasn’t the “brightest” idea, so they weren’t sure what to do–until they found portable solar lights that they could pick up with forklifts and move around. Their parking lots were lit as well as their construction site. It’s just another example of why cutting the cord from traditional lighting works. Wired lights just aren’t practical for certain applications, and we take pride in filling in the gaps of practicality. That’s just what solar lights are capable of doing. One of the biggest benefits and reasons why businesses take advantage of solar lights is because of the savings up front. However, we’re here to educate that solar also makes you money. That’s right, through certain state and federal incentives, you can actually make money from solar. Through tax incentives, solar energy credits, and certain special programs where you can actually sell excess energy, one of the biggest advantages of solar energy is that you can earn greenbacks from it. We’ll leave you to do the research on your own, but we just thought you might like to know that. In case you want to make money for doing practically nothing. Another interesting advantage of solar power lighting is often times it catches the attention of the media. Since “green is in” these days, some lighting projects catch the attention of the local media and can boost your public presence–all because you put a solar light in your parking lot. A quick search online can reveal all sorts of different companies, municipalities, businesses, and government entities that make the jump to solar and wind up getting featured in a news report. Fame and fortune has a nice ring to it. …And The Disadvantages of Solar? We’re going to lay out our cards on the table and show we don’t have anything up our sleeves. Solar energy does have disadvantages, and we won’t shy away from discussing them. Up front, solar powered light prices are high. We aren’t ashamed to admit that. But when compared to a lot of the fees you may see with traditional lighting, you can actually save money day one by going solar. Take a look at the entire bill, and you’ll see a vast difference. The sun doesn’t always shine unfortunately, and we recognize that as a problem for solar lighting. Dark winters and consistent storms can definitely deprive a solar panel its energy, but the “bright” side about using the sun to power lights is that solar systems–combined with the proper batteries and equipment–are capable of lighting anything for up to a week. In stormy, cloudy places, we ensure our lighting systems are beefier to combat less light. Yep, we thought of that. That’s the advantages and disadvantages of solar powered lights. We appreciate you taking a look at this brief read. Hands down, solar is the way to go if you need to light something. Your wallet thanks you. Please contact us for a professional consultation and we’ll be in touch. Environmentally sound, easy on the wallet, and resistant to extreme weather conditions are just a few ways to describe solar parking lot lights. When they’re paired with ultra-bright, super-efficient LED lights, these kinds of lights can help you achieve energy-saving and money-saving standards unheard of through traditional methods of lighting. Here’s a few reasons why. LED lights are up to 80 percent more efficient than many other kinds of lights. LEDs draw significantly less power and convert 95 percent of their supplied energy to light. Together, with solar power, they create one fantastic set of solar parking lot lights. The photovoltaic (PV) panel charges the battery during the day (yes, even in overcast situations and winter-time) and the integrated battery keeps the light burning all night. You’ll notice the change in the monthly energy bills–there won’t be any. In addition to fewer bills, solar lights require no trenching to connect to grid power–the savings are up front and over time. Often times installed solar projects are cheaper than traditional on day one because the trenching costs with traditional exceed solar. Parking lots at night can unfortunately be heavy targets for criminals and vandals. We have scores of success stories of how solar LED lights have reduced crime and helped pedestrians feel safer at night. We’re happy to be a leading provider of lights that, frankly, fight crime! Along with stupendous benefits of saving money long-term and keeping safety high in public areas, solar parking lot lights have significantly smaller carbon footprints on the environment. These lights aren’t burning anything or releasing toxic chemicals into the air. They’re pulling power from the sun and returning it to us via LED lights. It’s a triple-whammy inside of a perfect package–solar LED lights that save money, protect people, and remind ourselves that we have one planet to live on. Take care of all three problems by going solar today. Contact us to learn more and see how you can take advantage of everything that the sun has to offer you. We hate to use a cliché, but weather isn’t a drop in a bucket. We’ve got our best solar street lighting in some of the most unkind places in regards to wind, rain, snow, and heat. We’ve even talked about how snow can harm solar efficiency in the past. For this particular topic today, we’ll be talking about how heat can affect solar lighting health and how to prevent high temperatures affecting your solar installation. There’s a bit of a conundrum in solar energy. Panels operate best where they receive optimal light, but that also suggests they receive a lot of heat simultaneously–which means solar efficiency drops. With each solar street light installation, there’s what’s called a temperature coefficient. As the temperature of a solar panel increases, the power output actually decreases. Pay attention to the temperature coefficient, which sates per every 1 degree in Celsius that the panel rises above 25 Celsius, the power output drops (generally). So if your panel is rated at a -.189 degree power rating, every degree it rises results in a .189 percent power loss. A single degree isn’t very significant, but as a panel’s temperature rises it will eventually produce significantly less power. Luckily, Greenshine New Energy develops the best solar street lighting against the dangers of high heat. Environments that reach 110 degrees Fahrenheit every now and then won’t affect your solar street lighting systems, but if there’s a constant exposure in that kind of environment, our engineers can step in and devise systems to protect from such detrimental climates. It’s a catch-22 with solar power because solar panels operate best in sunny environments, but tend to lose power efficiency when they get hot–in sunny environments. We do our best to combat heat and find the narrow middle for our solar systems to operate. Contact us to learn more about what we can do for you. Do you have a specific aim when choosing outdoor lighting? Can you tell the difference between canopy lighting, LED pole lighting, and other types of lighting? What are the applications of different types of lighting? If your answer continues to be “No”, it’s a good idea to continue reading this article. Canopy lighting fixtures are best for many types of facilities with outdoor overhanging canopies, such as gas stations and parking lots. Both the brightness and color of the light can be customized by changing the location and the height of the canopy, providing sufficient lighting for many different types of spaces. LED pole lights are another type of light that are widely used in outdoor areas of commercial facilities. They are usually used as street lights in parking lots and residential areas to provide lighting for both drivers and pedestrians. As the name suggests, these lights are ideal for facilities with low-hanging ceilings, for instance, parking garages. Low ceiling lights are also customizable to meet the different needs of specific applications. Flood lights are one of the most popular type of lights that are used outdoors. They can provide broad-beam and high-intensity light and are frequently used for sports fields such as stadiums and race tracks. Smaller flood lights can be used to provide lighting for warehouse exteriors or other smaller areas. When you are looking for outdoor lighting for a parking lot, street, pathway, park, or other application, it’s important to make sure you get the right type of commercial outdoor lighting. If your still not sure what the right choice is for you, you can leave a message with us or get a free lighting simulation for your project here. Our engineers and lighting experts are available to help you with your specific case. There are a few basic design principles of solar parking lot lights. To gain deeper insight into a cost-effective solar PV system design, here’s what you need to know.